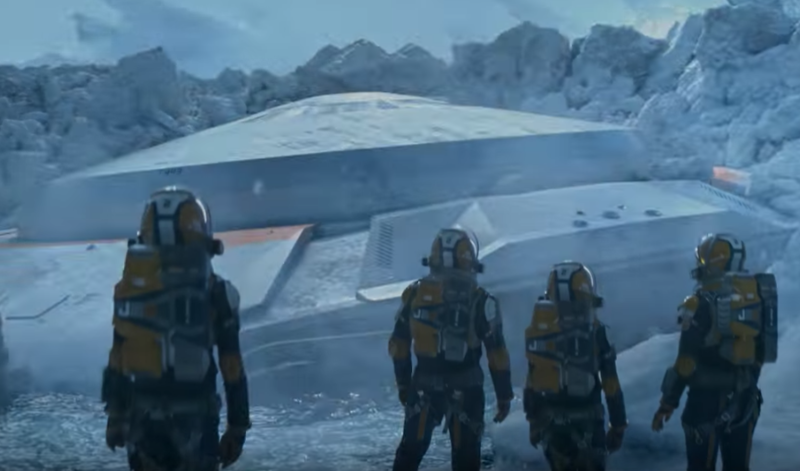 At this year’s Awesome Con in Washington D.C., Netflix showed up and screened the very first episode of their brand new original series Lost In Space. When I first watched the trailer for this new series, I was very skeptical about it after the disappointment that was the 90’s movie of the same name starring William Hurt, Gary Oldman and Matt LeBlanc. But since watching the pilot, I will say that the episode does not disappoint and lays the groundwork for an interesting season. The new series stars Toby Stephens (Black Sails, Die Another Day) as the father of the Robinson family that is sent into space to find a new home for humanity after the Earth suffers a cataclysmic event 30 years from now. The family boards a brand new spaceship named the Jupiter 2, and during the journey the ship is thrown off course and crashes on an alien world and must work together to survive the elements and a mysterious villain named Dr. Smith (Parker Posey). Rounding out the rest of the cast are Taylor Russell (Judy Robinson), Mina Sundwall (Penny Robinson), Molly Parker (Maureen Robinson), and Maxwell Jenkins (Will Robinson). The episode is an hour long, but it goes by so fast because you are intrigued by not only the overall situation that the Robinson family finds themselves in but also the dynamic of the family. The love between Maureen and John Robinson is captivating and the chemistry between Molly Parker and Toby Stephens is fantastic. Another great dynamic is between John and his son Will where John really struggles with how to raise him. Not only do we see how the Robinsons interact with each other in the present but we also see how they interact in flashbacks. For those of you wondering where the Robinsons’ robot is, don’t worry: he shows up, but in a very different way. I don’t want to go into too many plot details as they could spoil the episode for you. The production of the show is top notch and it looks incredible. The CGI in just the pilot episode alone makes it feel like a summer blockbuster. The writers and creators of the show, Irwin Allen, Matt Sazama, and Burk Sharpless have taken a well known and campy science fiction property, and not only updated it but made it accessible for the modern day. Keep in mind that the tone of this series is darker than the movie and series that came before it. That this is a brand new world that is being built and to go into the show with an open mind. Rating: five crashing Jupiter 2’s out of 5.